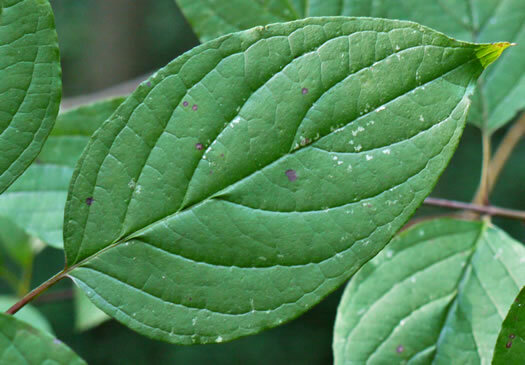 Your search found 4 image(s) of leaves of Silky Dogwood and Southern Swamp Dogwood. 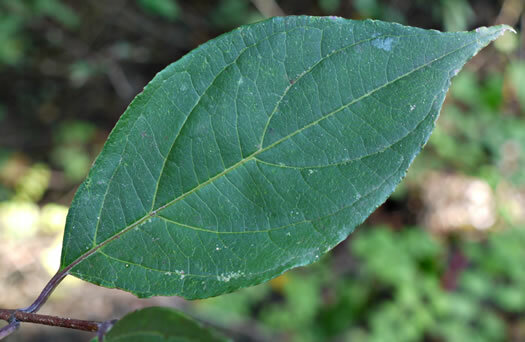 Usually 5 or more veins per leaf side, leaf base usually rounded or truncate, per Weakley's Flora. Leaves arcuate-veined with close reddish hairs below, per Woody Plants of the Blue Ridge. Usually 3-4 veins per leaf side, per Weakley's Flora.